Fear conquered builds courage. Adults watch scary movies for their survival relief. Kid do the same. Fear conquered strengthens Emotional Intelligence. A child of Grimm’s Fairy Tales, Maurice Sendak understood little kids loved to walk on the wild side in the safety of their parent’s arms, just as many grown up kids thrill to the scary things in adult books, tv, movies. The need to conquer seems inborn. In one way or another we test courage. This explains the popularity of roller coasters, fast driving, sky diving, and all other risky adventures we volunteer for. Exposing ourselves to such scary and safe, adventures, however, only strengthens our emotional intelligence and builds courage if we stay safe and unhurt, something parents need to remember. The following two tips expand a bit on the above. Tip one: Using rating scales to control the fear factor. Rating scales are a way of helping a child let you know something is too scary.Too scary can be traumatizing and that harms a child in many ways. Start teaching such a scale by sharing your rating when you see the child is just beginning to get scared. Try this three point rating. Fun scary, can handle it scary, and too scary. As you child learns to count you can add numbers. Tip two: We all use any number of self-soothing skills to deal with fears. Here is one that is easy to learn and to teach to a child. You can start teaching this to a child as early as six or seven months. Hold the child in your lap sitting up, facing out and leaning against your chest. Have your arms around the child holding him or her securing, but loosely. As you start tensing your muscles and breathing in also tighten your hold on the child. As you hold your breath and the tension, hum a little. As you release the tension and breathe out, loosen your hold on the child. Then breathe normally. As the child begins to acquire language say, “Lets take a calming breath” when you start OOMing and at the end of each OMM. 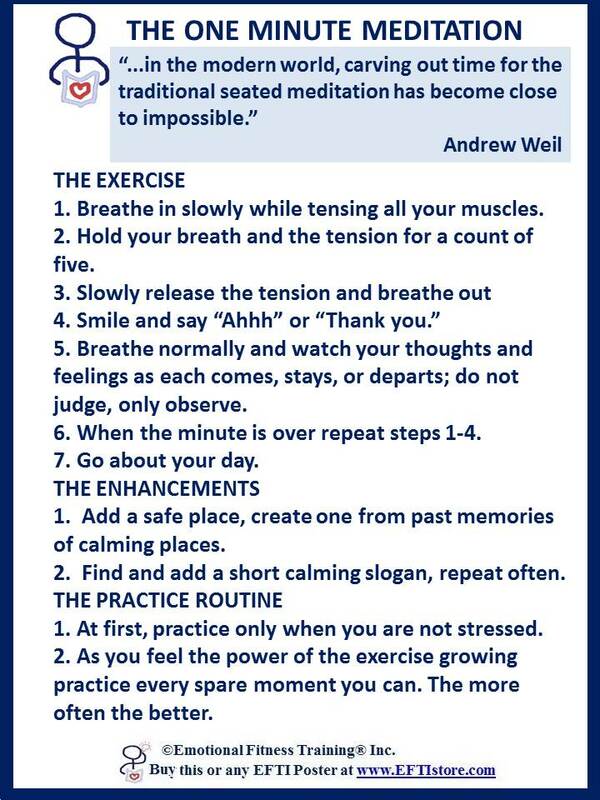 See the links for other ideas for teaching children to breathe calm. 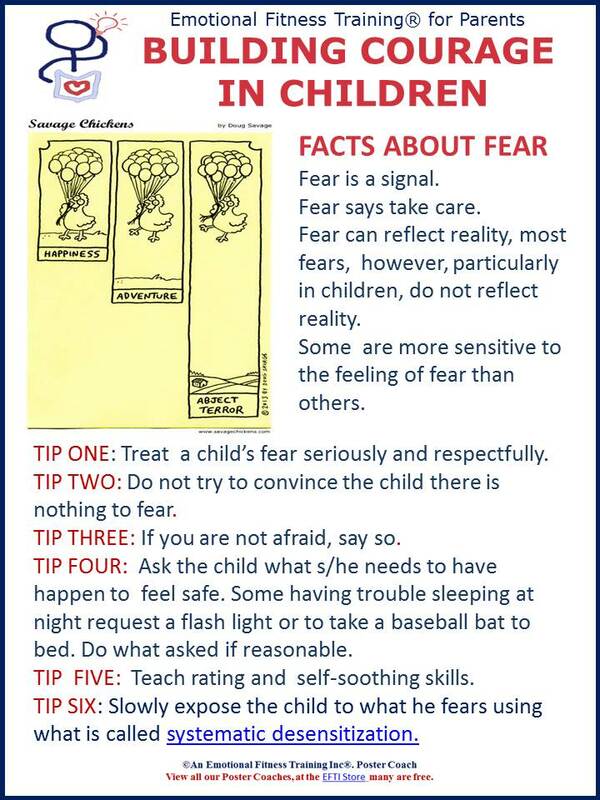 Keep in mind that children vary in their ability to handle fears. A shy child will need more help than most and a very bold child may need you to create a bit of caution about some things. Parenting is not an easy job. Fortunately, most parents do a more than good enough job and most kids build courage as they grow and understand the world better and better. Thank you for all you do, your support, please continue to like, comment, or share these posts. This post was inspired by this DAILY PROMPT One day, your favorite piece of art — a famous painting or sculpture, the graffiti next door — comes to life. What happens next? I thought of Maurice Sendac’s scary monsters. The 12 step program teaches that our fears are usually unwarranted and that they will eventually evaporate in sobriety. Never bought into that because millions of families are just one missed paycheck from collapsing. The program probably wants us to learn to dismiss imagined fears that are insubstantial. In this economy it is hard to tell the difference.